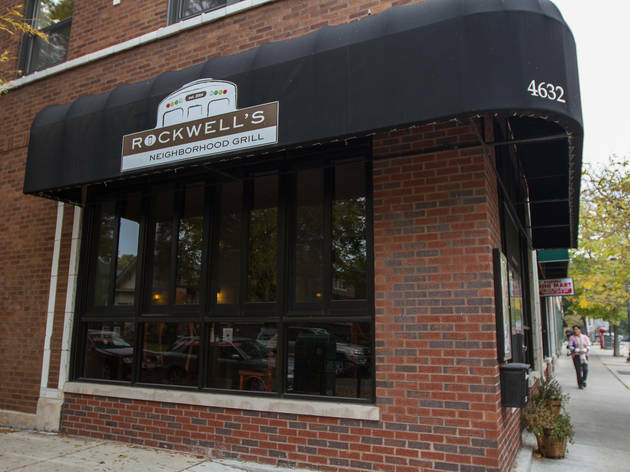 If you’re the type of parent who includes your bambino in your extracurricular activities, we’ve got the quintessential neighborhood bar for you. Enjoy superb pub grub, killer Bloody Marys and a cheerful patio, all while watching your kiddies tumble themselves cockeyed on the beer-stained floor. 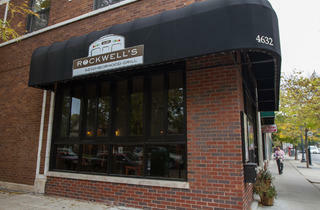 El stop: Brown to Rockwell. Bus: 49, 81. MMM I love Rockwell's. Burgers are some of the best in the city and I get the fish tacos practically once a week. Great beer selection and they're open late! Very surprised about this hidden neighborhood gem. You walk in and expect your typical bar but the menu has many options -- tacos, burgers and tasty appetizers.